Wallace Luther “Toots” Shultz was born on October 10, 1888, in Homestead, Pennsylvania. From 1907 to 1910, Shultz was enrolled as full-time and a part-time mechanical engineering student at the University of Pennsylvania. 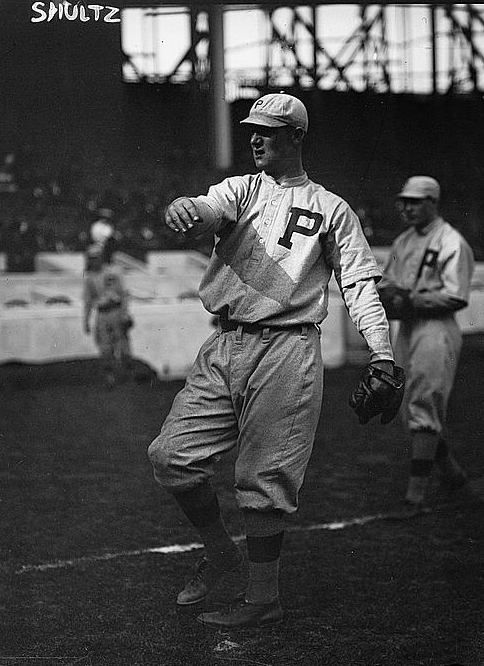 A pitcher, he played on Penn’s varsity baseball teams in 1909 and 1910. Shultz debuted in the major leagues on May 5, 1911, playing two seasons with the Philadelphia Phillies. He also played for minor league teams in Buffalo, Providence, Sacramento, Vancouver, Detroit, Seattle and Los Angeles before ending his professional baseball career. A machinist mate 1st class during World War I, Shultz later became a foreman with the Pennsylvania State Highway Department. He died in McKeesport, Pennsylvania, in 1959.